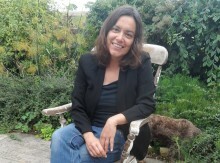 Sara Ahmed is an independent feminist scholar and writer whose work is concerned with how power is secured and challenged in everyday life and institutional cultures. She has recently completed a book, 'What’s the Use? On the Uses of Use' and has begun working on a new empirical research project on complaint. Her most recent publications include Living a Feminist Life (2017), Willful Subjects (2014) and On Being Included: Racism and Diversity in Institutional Life (2012).